definitely. and way cuter than legos. too big or no? cuz I'd do this. joe: we've got to get cheech a mr. potato head. how bout a cute gift for my ring bearer and flower girl. yes yes! My boyfriends grandparents just had there 60th and were celebrating next month. Seriously considering giving them that!!! Mrs. 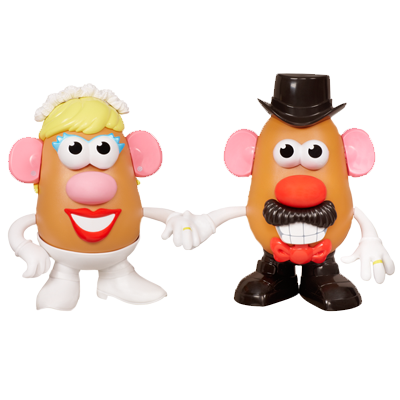 Potato Head is wearing wedding pants. I dig it.